We were watching a documentary the other night about Brian Eno and he talked about the idea of releasing a song being akin to setting something free. 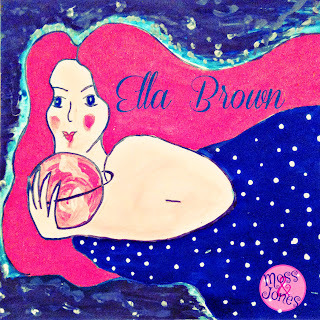 Well, Ella Brown, our three-track single, has been free to roam for a week today. We thought we'd tell you all about it! The title track is a love song of sorts. It's about being young, and feeling that you're falling in love with someone who happily lets you admire, adore and even worship them, but doesn't give you much by way of return. Many of us have been there, and it's about learning from that, and moving on. Ruth wrote the song and we arranged it together for our voices, and ukulele, violin, mandolin and melodica (the latter was a wedding present from one of Marc's musician friends; we married late in 2014). The middle eight, as some of you have worked out, is loosely based on Thomas Tallis' choral work, Why Fum'th in Fight (also famously magpied by Ralph Vaughan-Williams). We recorded the song at Catalyst Studios, St. Helens. Andy Bowes is a fantastic producer and as we hadn't spent much time in a studio before, he helped us through the whole process. We actually paid for our time in the studio with vouchers we'd received as wedding gifts! Ruth's colleague and friend Michelle Quinn is a fine artist whose quirky, semi post-impressionist style first caught our eye when she painted us a TARDIS-themed card for our wedding. We asked how she'd feel about painting a picture for our single cover and she agreed! We were chuffed when she came up with three designs for us to choose from. Initially, we preferred one of her other designs, however, when it came time to put out the single, we unanimously changed our mind; how could Ella Brown be represented by anything other than this painting? The violin Ruth plays on Ella Brown was hired from Mike Phoenix Violins in Liverpool. Ruth does have her own violin but the tone isn't particularly mellifluous, and it's more for playing at home. In fact, it was while we were in the Bluecoat in Liverpool looking for an engagement ring that we chanced upon Mike Phoenix; he offered to let Ruth play one of his violins, and she remembered how much she loved to play the instrument. However, she put it out of her mind until a few months later. Noted St. Helens indie band, The Loungs, were looking for someone to play violin on one of the tracks on their new album, and Ruth said she would do it if they couldn't find anyone else, but pointed out she was hardly Vanessa Mae, and her violin was far from a Strad. They kindly offered to hire a violin for her; she contacted Mike Phoenix to see if he could advise on where to hire a violin... he said he could loan her one, but for a minimum of three months... and that's how we ended up with this gorgeous sound on our track! Reynardine is a well-known folk ballad (Roud 397); depending on who you believe it's either a spooky tale of a charming werefox, or a song about a brigand who tricks a girl into doing his bidding. We've kept our arrangement simple, partly because we think it's the latter! 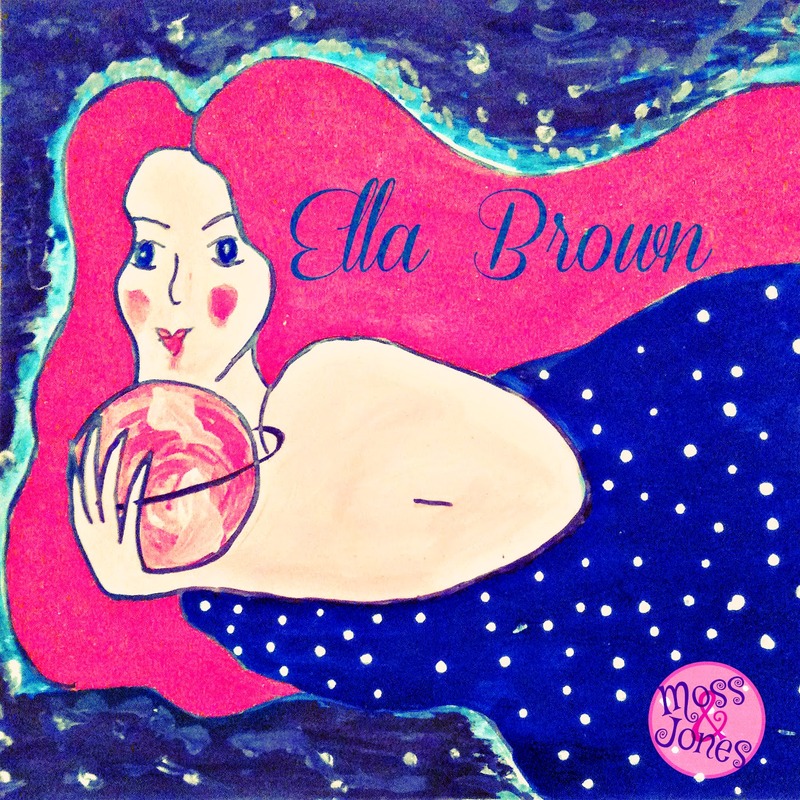 Ella Brown by Moss & Jones Both of our b-sides were recorded by our friend Kerry Foster. Kerry has known Ruth since their children were babies, but recently, Kerry started doing a music degree at St. Helens College, and was looking for a band to record as part of her degree. We were delighted when she asked us, and these two tracks were the result. We think she's done an amazing job! Molly is a jig based on Molly/Polly put the Kettle on, or Jennie's Baubie, which we play on violin and melodica. It's a simple tune but we love it partly because it starts cheerfully and breezily but as it progresses, it finds some depth. Plus, there's never a moment in our house when we don't have a brew in our hands. We played straight through this live in the studio while Kerry recorded it. ... brightens my day, causes me to hum along, and tap my toes! Lovely! I love the melodica on Ella Brown! I've just listened to Ella Brown and whilst I'm not into folk music at all... I have to say I absolutely LOVE it. We've decided to make this track Pay What You Like. This means that you enter whatever you'd like to pay - even nothing at all - into the Name Your Price box when you click Buy Now. Obviously, when our EP, Amateur Astronomy, comes out, we will have to charge for it (though nothing exorbitant), otherwise we'd be running at a loss and be unable to afford to make any more music. But for the single, we're happy for people to pay anything or nothing at all. We've also licensed it under Creative Commons; without going into too much detail, this means that the tracks aren't copyright; so for example, if you want to make a video and you're looking for a background track, you can use any of ours from the single without having to pay a penny, providing you credit us. It's another way we're saying thank you to people for supporting our music. Well, if you've made your way through this blog post, you've already done something lovely for us! But if you'd like to help even more, we would love for people to share our song on Facebook. It's a very mysterious business, getting people to "share" content over there; there are myriad blog posts about it and a tonne of research but still no one seems to completely understand what makes people click the "share" button rather than the "like" button! So we're just going to ask; it would help us greatly if you could share our posts on Facebook. On twitter, mini reviews help us an awful lot. Even just a quick tweet to say "love the new single @mossandjones" or something similar will go a long way in persuading other people to have a listen. At the end of the day, we aren't doing this to make money (if we wanted to make money from music we'd stick with cover songs and do wedding after wedding) but at the same time, we do want people to listen to our songs, otherwise we might as well just stay at home and play them to each other and to Ruth's eight year old child. (Obviously, we do that anyway!) So if you like our music, and want us to keep making it, it's as simple as this... download it, and tell your friends about it!